Longitude is generally a difficult coordinate to accurately calculate. In this senior thesis, C.C. 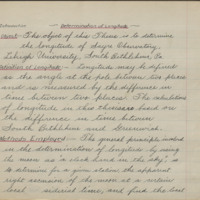 Thornburg, Class of 1911, documents the research he did as a civil engineering student under the tutelage of his father, Professor of Astronomy and Mathematics C.L. Thornburg. 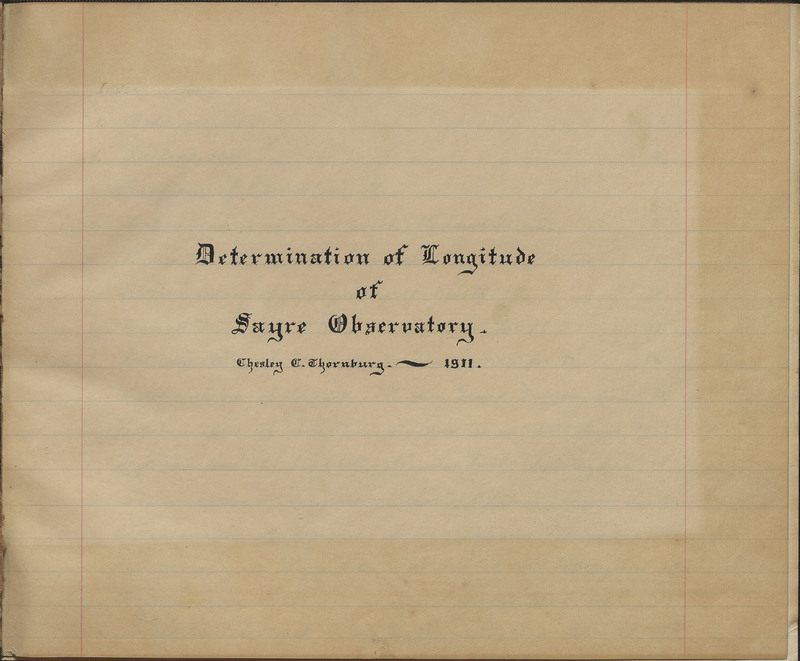 His research focused on calculating the longitude of Sayre Observatory using at least three different methods. C.C. Thornburg further corroborated his results with the U.S. Naval Observatory in Washington, D.C., the organization now responsible for maintaining the United States’ master clock. 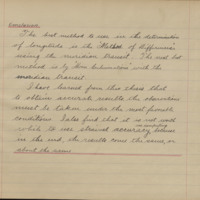 The calculations in this thesis are no longer valid as the Sayre Observatory building was moved to accommodate the parking garage of the Alumni Memorial Building. 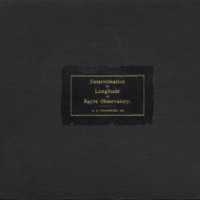 Determination of Longitude of Sayre Observatory. Bethlehem, PA: Lehigh University, 1911.